In general, administrative actions in Vietnam are initiated by filing a complaint with the Ministry of Science and Technology (MOST) Inspectorate, Market Control Office (MCO), Department of Customs (DC) or Economic Police (EP). The complaining party will submit the following: (i) documentary evidence of ownership of the infringed mark; and, (ii) proof of infringement, including samples of both the infringing and genuine articles. Thereafter, the administrative agency concerned is expected to reach a conclusion on whether or not infringement exists on the basis of the evidence submitted by the trademark owner. In the event the infringing mark is simply an imitation or reproduction (as opposed to identical to the registered mark), the matter shall be referred to the Vietnam Intellectual Property Research Institute (VIPRI) for a determination of infringement. In the absence of a decision by VIPRI, the complaint may be referred to the MOST Inspectorate for resolution. Penalties can range from a fine which is equal to the value of the infringing goods to a maximum level of VND 500,000,000 – around USD 25,000. In cases where toxic products are produced as a result of the infringement, the fine may reach up to the maximum fine of VND 500,000,000 and result to the cancellation of the infringer’s business permit. Recently, Bayer CropScience utilized the simplicity and speed of an administrative action and emerged victorious against a fungicide infringer. This is Bayer’s NATIVO trademark case in Vietnam. Bayer CropScience introduced NATIVO fungicides (TRYFLOXYSTROBIN + TEBUCONZAZONOLE) to farmers in Vietnam to overcome the intricacies of rice disease management. It is one of Bayer’s blockbuster brand families which help farmers control soybean rust and other fungal diseases – not only in soybeans but in close to 100 different crop plants. Crops pre-treated with NATIVO have increased plant health effects like stress tolerance to drought, heat and frost; yield increase; uniform ripening; and, improved harvestability. Bayer CropScience learned that a local company located at the south of Ho Chi Minh City, Viet Duc Ltd., is selling crop protection products under the trademark NATIDO. 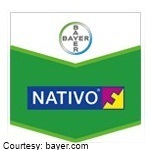 It was not surprise that NATIDO fungicides were very similar to Bayer’s NATIVO. In February 2012, Bayer brought an action against Viet Duc Ltd. by initially seeking a determination by the Vietnam Intellectual Property Institute (VIPRI) that NATIDO products infringe Bayer’s NATIVO. VIPRI agreed and found in favour of Bayer. Thereafter, armed with a favourable opinion from VIPRI, Bayer filed a petition with MOST Inspectorate for the purpose of enforcing the VIPRI opinion. A raid was carried out in Viet Duc Ltd.’s premises located in Kien Giang province in the presence of its external counsel, representatives from MOST and Kien Giang province’s Science and Technology Department. On the strength of the evidence seized during the raid, MOST ordered Viet Duc Ltd. to withdraw the infringing products from the market. Furthermore, it is no longer allowed to use the NATIDO brand name, and was sentenced to pay a fine. An increasing number of trademark owners have opted for the administrative route in dealing with counterfeiting and infringement issues in ASEAN countries for cost, speed and efficiency reasons. At the end of the day, when trademark owners are faced with counterfeit or infringing products, the priority is to remove these products in the market and make the defendants pay using the most cost effective way possible. Having said this, it is worthy to be aware of the administrative remedies and procedures in various jurisdictions before finalizing strategies to be adopted in addressing intellectual property rights violations.